Save time and money with our custom premium bundles. 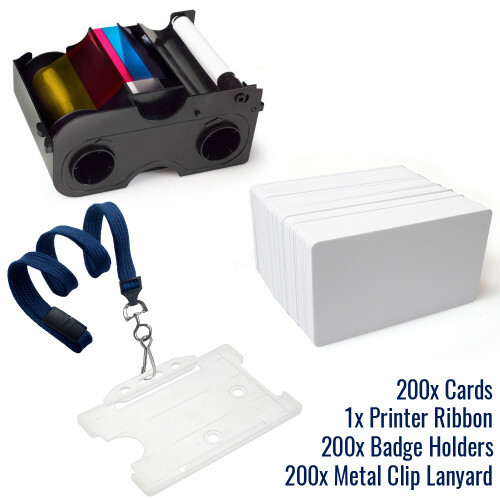 Designed to include all your ID card printing essentials – a colour ribbon, plain white PVC cards, badge holders and lanyards in your choice of 10 colours! Our premium lanyards are made from 10mm flat, tubular, polyester and come with a health and safety breakaway and a metal clip.